 These are the Who’s Who of Kentucky Agriculture. While every person I met had a passion for agriculture and growing opportunities for our farmers, I took special notice of Logan and Simpson Co. farmer Don Halcomb. I am sad to report, however, that I attended his funeral last month, but it was evident that the same impression he left on me was felt by hundreds if not thousands of people. If you would have told Dr. Tammy Potter ten years ago, that she would be the state apiarist (fancy word for beekeeper), she probably would have laughed at you. Potter attended college to become an English professor and was one for many years until her grandfather called her back to the farm that she was determined to get away from, to help him take care of his bees. What is the primary role of GOAP? We are actually in the application-taking business; administration and compliance for the tobacco settlement fund. As such, we don’t decide who gets the money but we prepare people to go before committees and at the state level to present projects. KFB Candid Conversation presents a discussion about the topical issues facing the agricultural industry in a question and answer format with a member of the agricultural community. In this column, the issue of agricultural research and extension are discussed with Dean Nancy Cox of the University of Kentucky College of Agriculture, Food and Environment. Mary Courtney’s kids play baseball in the yard while she picks sugar snap beans. Another day, her kindergartner reads books to her as she packs squash for market, and later, she may teach a kid to bottle feed a calf.